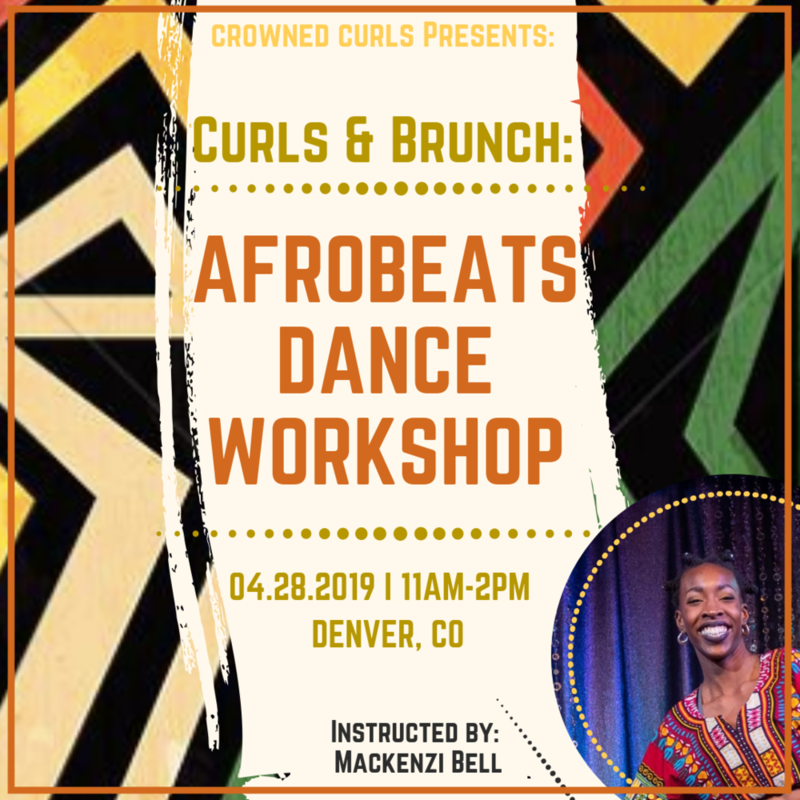 Come dance and work up a sweat to the hottest Afrobeats rhythms from Nigeria, Ghana, West & South Africa instructed by the amazing Mackenzi Bell-Nugent of AfroBeats Dance 303 as Crowned Curls celebrates 4 years in the game! This Curls & Brunch will be fun, high energy and open to ALL levels of movers&dancers! So get your dance face on babes! There will be a whole lot of dancing, sweating, yummy brunch, giveaways and curly updates! We're excited to see all you lovelies there celebrating & shaking what ya mama gave ya! Note: We encourage you to register right away as space is limited. Remember, you have not completed registration until you have paid via credit/debit card. Make sure you click the Payment button after completing the registration form to finalize registration. This is for ALL levels of movers & dancers! Wear comfy clothes & bring a water bottle!